Marie-Claire Alain’s first traversal doesn’t quite make my top-recommendation list but it is wonderful to have around for the completist and inveterate Bach and organ-music lover. The cycle is centered on a series of modern Danish Marcussen & Sons organs that had all just been built around the time she recorded them. The result is a clear and fairly bright sound throughout with a lot of diversity within that (admittedly narrow) spectrum). 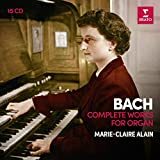 It undusted an organ sound in Bach that had at the time become thick and dark and crusted like a medieval painting where the grime and dirt of centuries had been taken for a characteristic of the real thing. 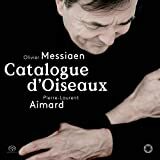 Jed Distler, who reviewed this set for ClassicsToday (where the other two Alain cycles are also given reference status), is right in pointing out the still greater clarity (in recorded sound, instrument character, and playing) this set features over Alain’s subsequent takes. 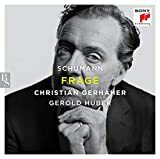 That’s perhaps most surprising when it comes to the recording quality which is, with very minor exceptions (a few cases of extraneous noise; one off-kilter note that wasn’t re-recorded), exceptional – certainly a lot better than either of Helmut Walcha’s roughly contemporaneous cycles. While Alain herself has apparently called these her “most instinctive” interpretations, they are actually rather straight-laced, linear readings without quirks or youthful liberties (Alain was 33 when she got started on them) and, if anything, understated. 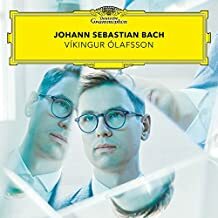 One neat aspect of this cycle is that it rigorously included all the works then assigned to Bach, even those that weren’t by Bach: A virtual survey of the Bachwerkeverzeichniss of the 60s. 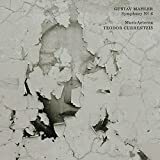 How nice to see that Warner/Erato’s re-issuing extends far beyond the most obvious classics in their (now huge) back catalogue. Nicer still: That a budget release such as this got excellent liner notes (the original ones from Marie-Claire Alain) in three languages. On ClassicsToday: Ratas del Viejo Mundo & "Ossesso"
Harmonia Mundi HMM902303 | 54'02"
During the First World War, Claude Debussy began a series of six instrumental sonatas. 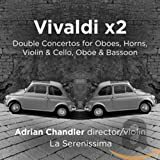 Although he managed to complete only three of them, he planned for the set to range into unusual combinations, including one for oboe, horn, and harpsichord, and another for trumpet, clarinet, bassoon, and piano. The project would conclude with a sonata for all of the instruments featured in the series up to that point. 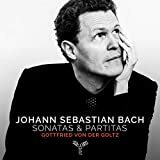 Each of these late sonatas is a marvel of economy, a startling variety of harmony, rhythm, and texture compressed into three-movement tours de force, each one lasting under twenty minutes. 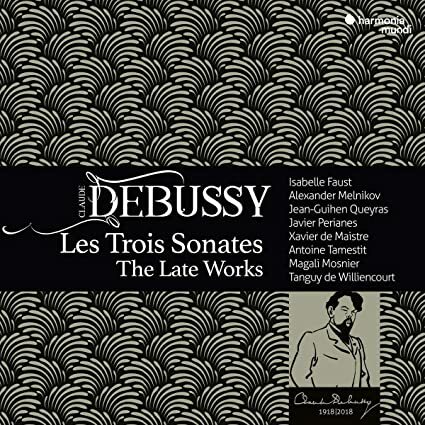 Within just a year of finishing only the third sonata planned in the series, the Sonata for Violin and Piano, Debussy died of colon cancer, in the midst of the German army’s bombardment of the city of Paris. 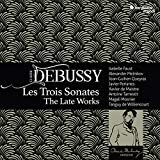 This disc brings together a dream team of musicians, some of them French, to record those three completed sonatas as part of a Harmonia Mundi project to mark the centenary of Debussy's death. 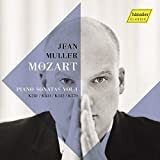 Each of the three sonatas receives an ideal interpretation: the limpid and playful violin tone of Isabelle Faust accompanied by Alexander Melnikov in the Violin Sonata; the balanced, engaging narration of cellist Jean-Guihen Queyras accompanied by pianist Javier Perianes in the Cello Sonata; and the outstanding combination of flutist Magali Mosnier, harpist Xavier de Maistre, and violist Antoine Tamestit, all performing on historical instruments, in the triple sonata. Pianist Tanguy de Williencourt adds short character pieces for piano as amuse-gueules to clear the palate after each of these more substantial main courses. 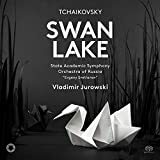 Dvořák’s works for violin and piano are not as widely known or regularly performed as you might think, given the A-list popularity of the composer and the popular and mainstream instrumental combination. Presumably that’s due to the lack of a body of major works to drive the interest: A handful of strong sonatas, perhaps, might have done the trick. In fact, there is only one Violin Sonata proper of Dvořák’s, and that’s not the strongest work among the lot. 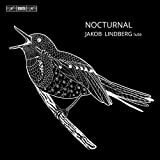 Jaroslav Smolka’s superb liner notes don’t pretend otherwise: without particular architectural grandeur, a heightened sense of innovative contrasts, violinistic virtuosity or dramatic tension, this dreamy-lyrical work lacks in ambition what it offers in lovely music... but such lovely music! 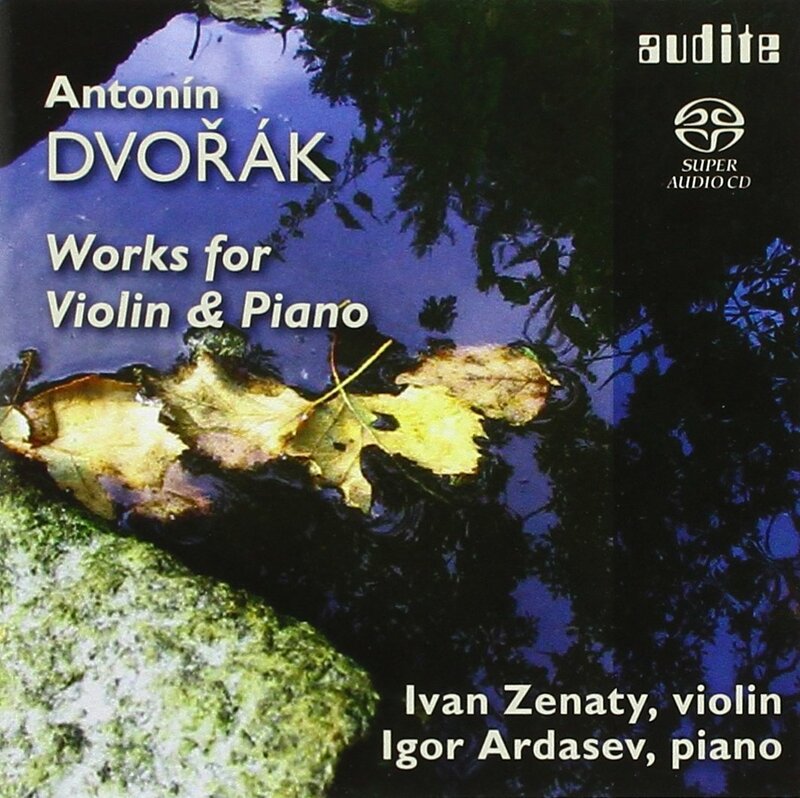 Ivan Zenaty (violin) and Igor Ardasev (piano) perform these pieces charmingly without overdoing it on the sugar. 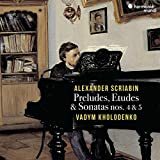 The Sonatina op.100, written for his children, fits in with its aim at home music-making and lack of a ‘grand concertant’ ambition. But it’s a tuneful and memorable thing and fills a very entertaining 20 minutes with that popular American-Czech idiom of Dvořák’s that he also used in works like the “American” Quartet and “From the New Worl” Symphony. 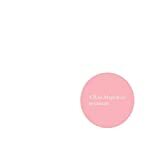 The catchy Romantic Pieces op.75/1 are given a bit of an edge and could benefit from a bit more bloom. The fairly popular Mazurek op.49, here in its piano-and-violin original, wouldn’t be harmed if the piano’s part were taken with greater brilliance and less accompanying decorum. 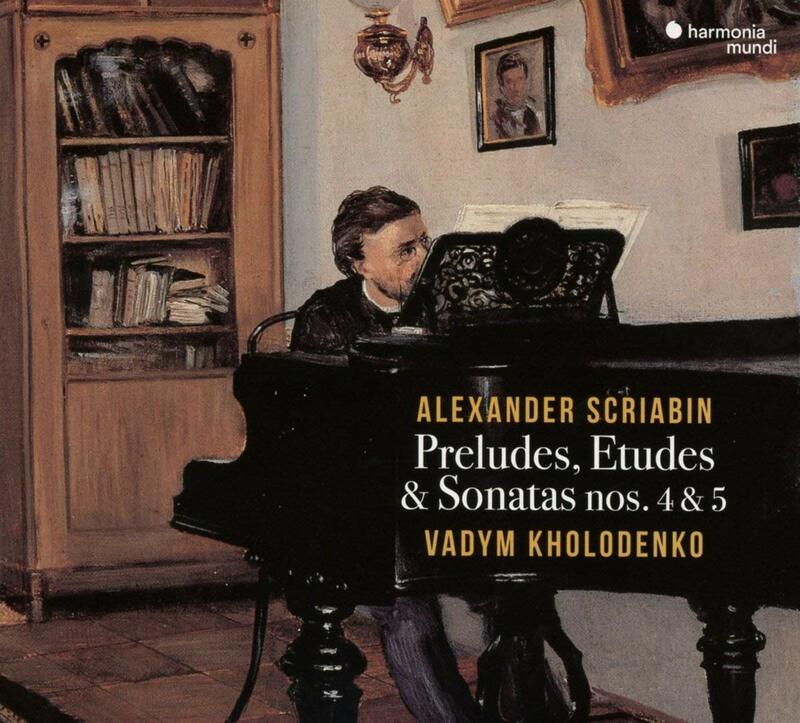 The sound on this 2006 high-resolution recording is very good and neutral, perhaps favoring the violin a bit over the piano. Low-key splendor, all in all. Harmonia Mundi HMM902266 | 71'10"
We have been following the British choir Stile Antico for over a decade at Ionarts. 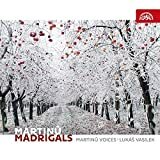 They are the inheritors of the work of the Tallis Scholars among the younger generation of early music singers, and each CD they release, especially of music from the English Renaissance, has been exquisite. 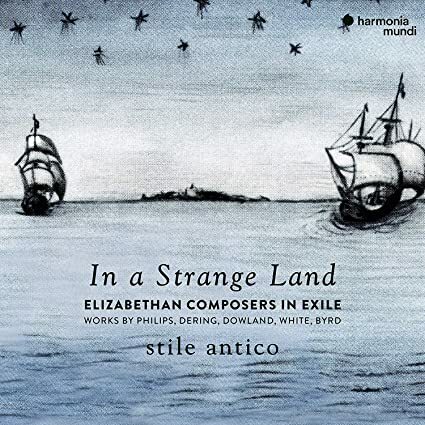 Their latest disc is no exception, in pieces by William Byrd, Peter Phillips, and Robert White. 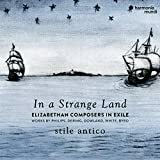 The theme of this program is especially poignant: it brings together composers who found themselves alienated, either in foreign lands (John Dowland, Peter Phillips, Richard Dering) or as Catholics in Protestant England (William Byrd, Robert White). The choir goes somewhat outside its comfort zone with the affecting part-song arrangements of lute songs by Dowland, Flow, My Tears and In this trembling shadow cast. The results are impeccably balanced homophony, with crunchy cross-relations underscoring emotional peaks. 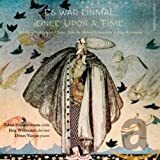 The same is true of a modern piece, The Phoenix and the Turtle by Huw Watkins, premiered by Stile Antico in 2014 and set to an eccentric text possibly revealing the Catholic sympathies of one William Shakespeare. In that context we must place the impassioned dissonances of Bird's ultra-personal motet Tristitia et anxietas or of Quomodo cantabimus, the same composer's musical response to Philippe de Monte's motet Super flumina Babylonis, both about people marooned among non-believers oppressing them. Allan Pettersson (1911 – 1980) was one of the great symphonist of the 20th century whose fate it was to become relatively unknown. 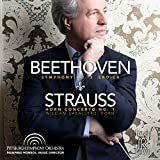 There’s no shame in this; he shares it with fellow great symphonists Eduard Tubin, Malcolm Arnold, Arnold Bax, Edward Rubbra, Vagn Holmboe, Erland von Koch, Heitor Villa-Lobos, Kurt Atterberg, William Alwyn, Havergal Brian, and Rued Langgaard: An eclectic but eminently musical crowd, committed to beauty. You won’t find him in concert halls (the way of such rehearsal-intensive box office poison), so record labels have to cleave the gap. CPO has recorded the 16 completed Pettersson symphonies with a variety of orchestras and conductors and now BIS is doing the composer proud with this ongoing cycle by Christian Lindberg and the Norrköping Symphony Orchestra (who added the incomplete, unpublished ‘Zeroëth’). Here they are in the Fifth and Seventh. 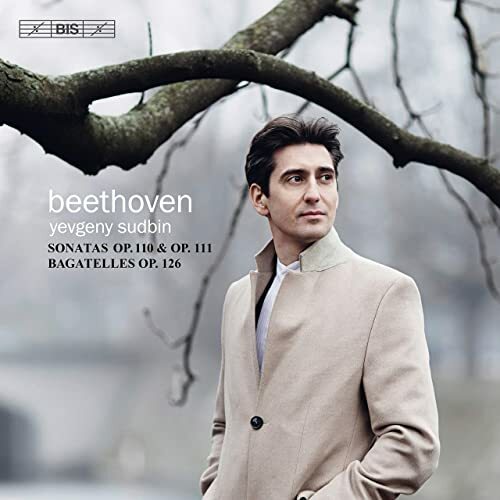 Pettersson writes riveting symphonies that develop slowly but effectively. He likes the space the form symphony affords him and explores it. Without movements, they are one continuous development… more (the Fifth) or less (the Seventh) dividable into distinct sections, which puts Pettersson, at least superficially, in the proximity of Sibelius’ Seventh Symphony. The spirit of Mahler’s Tenth breathes through large swaths. 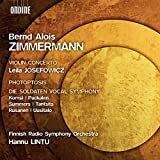 Although reasonably successful and earning him a lifetime stipend from the Swedish Government, his Fifth Symphony (as well as previous and subsequent works) was panned by critics for not really being modern at all. His use of tonality and consonance offended the academic sensibilities of the time. 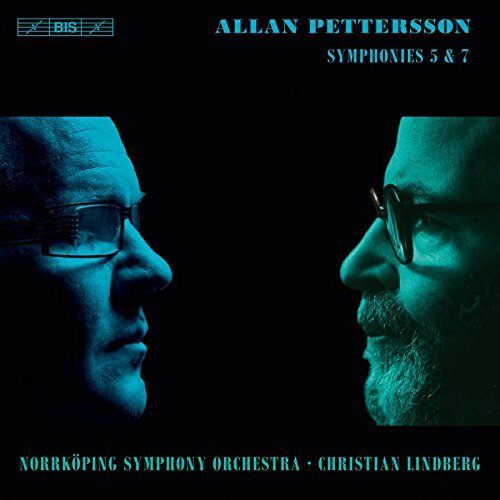 Indeed, Lindberg, the Norrköping Symphony Orchestra and BIS Records have devoted themselves to the “Allan Pettersson Project” which intends to perform and record all of Pettersson’s important works in standard-setting interpretations. 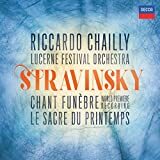 Despite the competition – even from the same orchestra on the same label – that seems to pan out nicely. 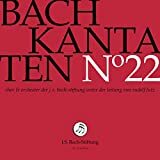 Right behind the recording of the rather more optimistic of the Barefoot Songs (BIS 1690), this release – what with the two Symphonies being among the most accessible ones – is an ideal entry point into the sound world of Pettersson. Surprised-by-Beauty Music! 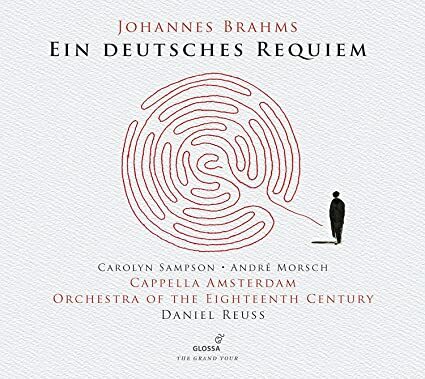 The German Requiem is perhaps the greatest work in the oeuvre of Johannes Brahms, or at least my favorite. Completed in its final form in the wake of his mother's death, the piece reveals the normally reticent Brahms at his least guarded. In recent years, various conductors of historically informed performance ensembles have tried to get to the bottom of what the composer may have had in mind with the piece, by going back to the instruments of the period and following the metronome markings Brahms later attached to each movement. 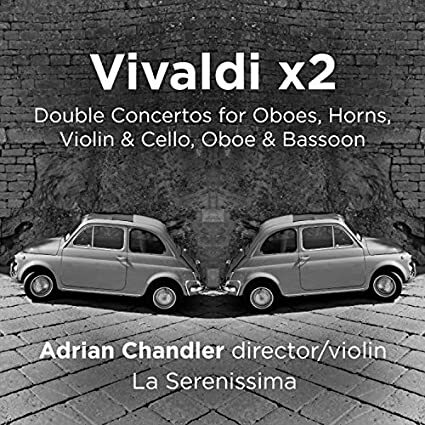 None of these versions has quite satisfied: John Eliot Gardiner, twice, with the Monteverdi Choir and the Orchestre Révolutionaire et Romantique (1991, 2012); Nikolaus Harnoncourt with the Vienna Philharmonic and Arnold Schoenberg Choir; or Philippe Herreweghe with La Chapelle Royale and Collegium Vocale. 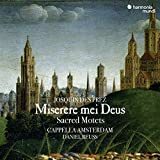 Cappella Amsterdam and Daniel Reuss, a group growing in my admiration recently, have succeeded. 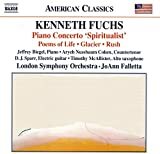 The sound with the Orchestra of the 18th Century in this live recording is golden and balanced, with Reuss not slavishly following the metronome markings but taking the main lesson they seem to offer, that the slow movements not be too glacial and the fast not too frenetic. As stated in the liner notes, the markings as a whole indicate that this is music for meditation on its Biblical words, rather than for dramatic titillation. This seems like just the right approach for a composer who always plays his cards close to this chest, and the results agree. 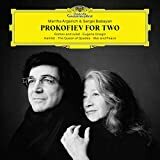 The incomparable Carolyn Sampson provides maternal consolation in the fifth movement, and German baritone André Morsch is both subtle and prophetic in the other solos. 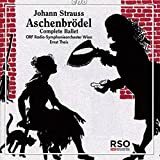 The weight of the piece rests on the chorus, however, and the Cappella Amsterdam delivers the full range of dynamics with pure and balanced sound, nicely matched to the smaller punch of the orchestra. 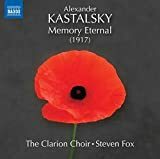 One moment in the first movement knocked me over the first time I listened to this disc. At Rehearsal E, Brahms suddenly leaves the alto section of the chorus alone at the return of the opening theme. Most conductors bring that line out by having the altos sing louder than Brahms indicate (piano). Reuss leaves his women's sound quiet, exposed almost like a single voice, a magical effect of emotional vulnerability.